To those who have taken the time out of their lives to read my posts, I have had a poor run of luck with my bikes in 2012. I am confident (touching wood and keeping my fingers tightly crossed) that those days are now behind me and lady luck is watching over me, keeping me and my bikes safe. I still have Cedric (my original, bottom tube dented Cannondale Synapse) and use this fella on my turbo trainer, when it’s wet. He is still in good order and has a lifetime ahead of him. I recently added some clip on tri bars which means I can get down and push some power on long straights to cover the miles off more quickly. I still have the broken carbon Synapse, which is hopefully being mended at the moment. I am hopeful this bike can be brought back to life somehow (watch this space). 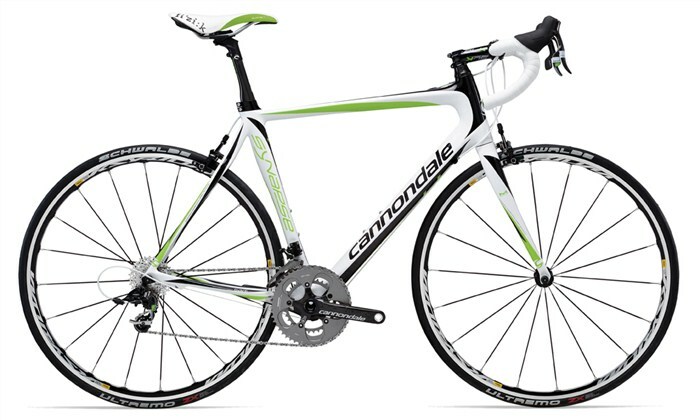 I wrangled ,y local bike shop and also Cannondale UK to replace the carbon frame. Apparently it was MY FAULT that the bike they had manufactured had in fact broken whilst I was riding it. We argued for a while and then they offered to ‘Crash Replace’ the frame set, for a mere £400. 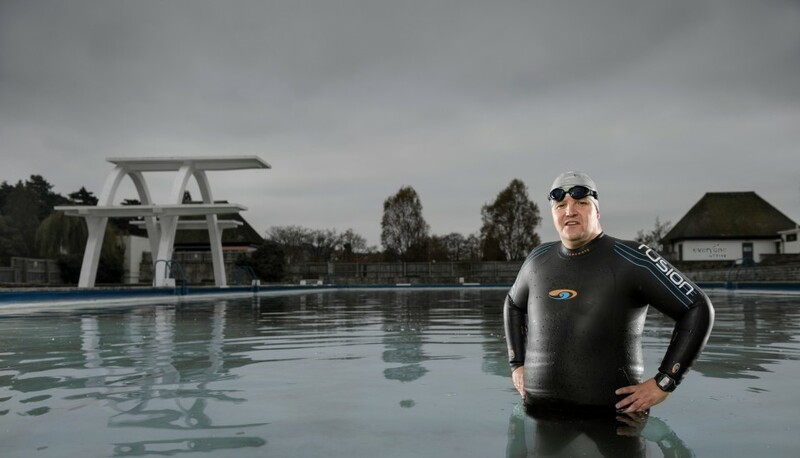 In May and June, I quite literally heamoraged money when I visited bike shops, to the point of thinking of chucking the towel in and taking up running instead!! 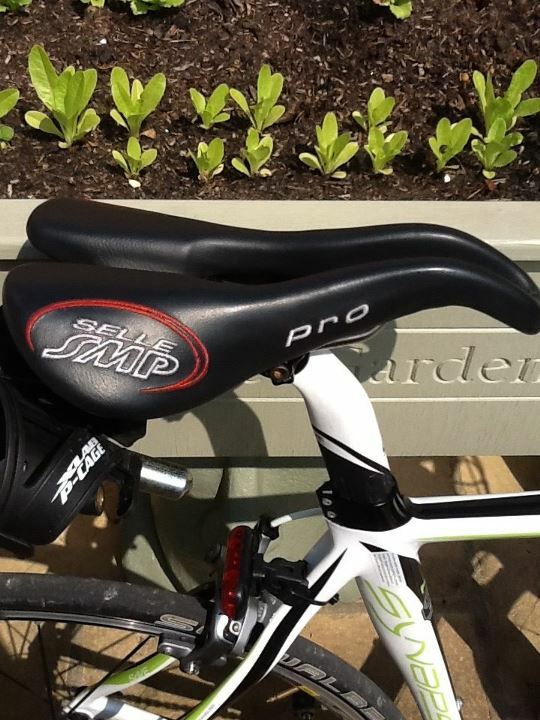 The new saddle makes a real difference after about 12-14miles to my mental and genital state of mind! 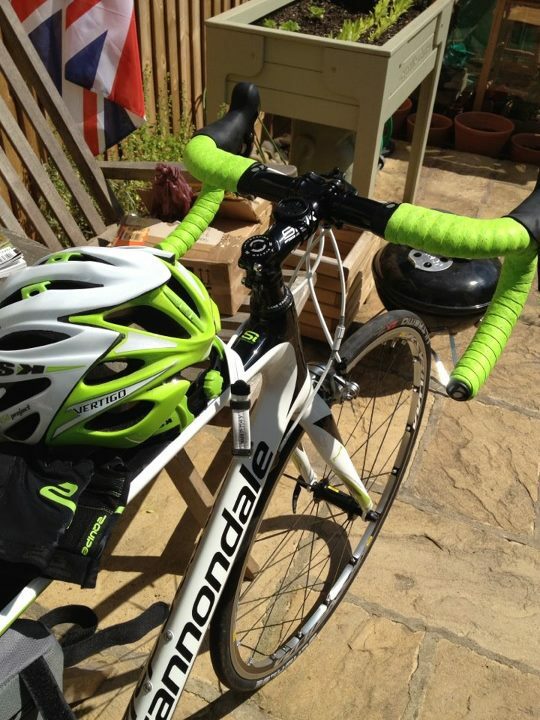 I love the lime green in life now…..Liquigas and Lime all the way! This bike is a thing of beauty and a joy to ride. To date, no issues except a broken spoke as I struggled to clip in on a wet, cold, mud ridden 120km Sportif when I was struggling to keep my mind and body on the job in hand. Silly mistakes happen when you are tired.